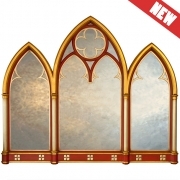 You must be looking for arched mirror for sale & if so then I think you'll appreciate my collection of handmade decorative arched mirrors offering an unbeatable choice of arched mirror styles and gilded arch mirror finishes. 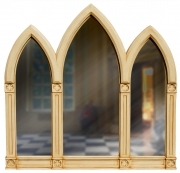 Styles range from Gothic arched mirrors through to my more contemporary styles like my Art Deco decorative arch mirrors. 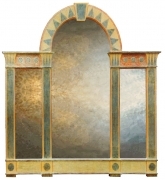 If the Art Deco is not contemporary enough for you then see my Contemporary Mirrors Collection. Laid out below are my Decorative Arched Mirrors. 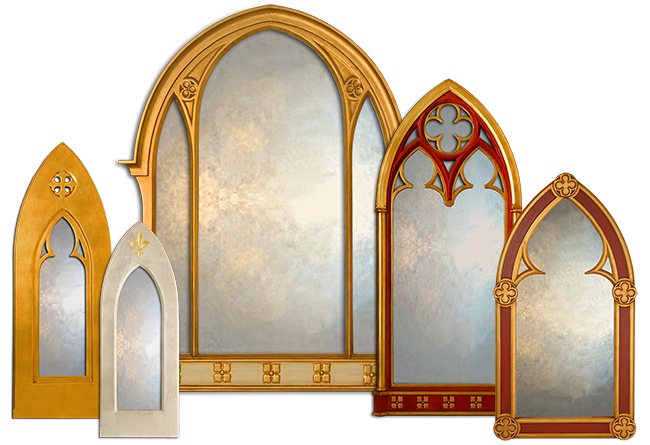 Click on any of the gilded arch mirrors for more detailed information and images. 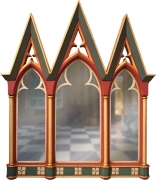 If none of the arch mirror styles quite does it for you but you like the overall design and quality of my finishes then get in touch and I will be prepared to make the arched mirror you require and add the design to my collection.... just click on the contact link opposite. the style -you are looking for. the right size and proportions -to suit your location. the right finish -to co-ordinate with your colour scheme. the right price -as you'll be dealing direct with the maker. • the right advice and guidance -as you'll be dealing with the designer.